SCOTT Campos is confident King’s Lynn can return to winning ways when they host Poole in the Premiership Shield on Monday (7.30). Poultec Stars suffered defeat at local rivals Ipswich in the Supporters’ Cup last time out - and everyone is determined to bounce back on home shale. 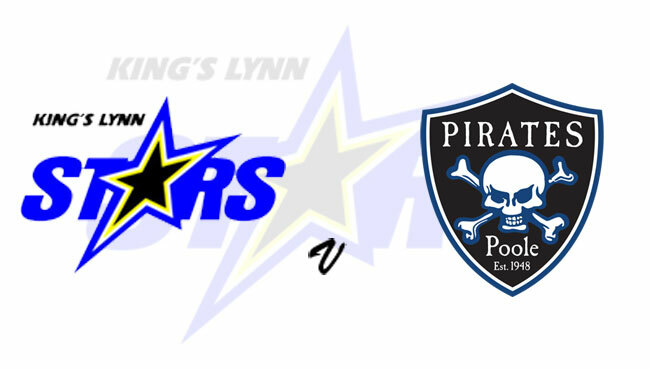 It is hoped the home comforts of the Adrian Flux Arena will help secure the Stars their first victory of the new season in what is a replay of the 2018 Premiership Grand Final. Pirates, meanwhile, haven’t raced yet this season with their opening challenge fixture against Somerset washed out. And they travel to Norfolk with four members of their title-winning side from last term, while club asset Jack Holder returns to the Dorset club after a season on-loan at Somerset. Caretaker boss Campos said: “I am really looking forward to Monday; I think it will be a different story with us being at home compared to what happened at Ipswich. “We know that all our guys go well around King’s Lynn and we’re confident we can get a result. POOLE: Jack Holder, Josh Grajczonek, Nicolai Klindt, Richie Worrall, Brady Kurtz, Nico Covatti, Nikolaj Busk Jakobsen.